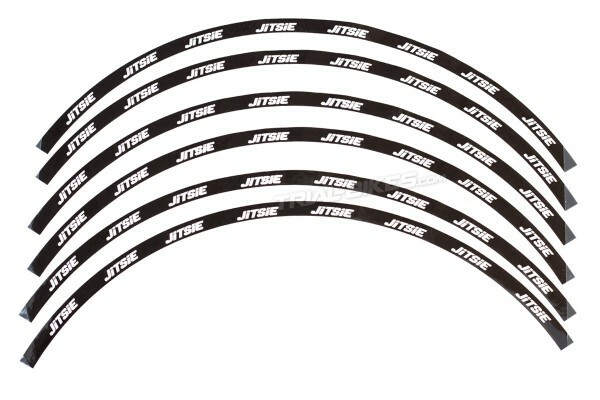 - New Jitsie rim stickers, designed for 20”, 24” and 26” rims. 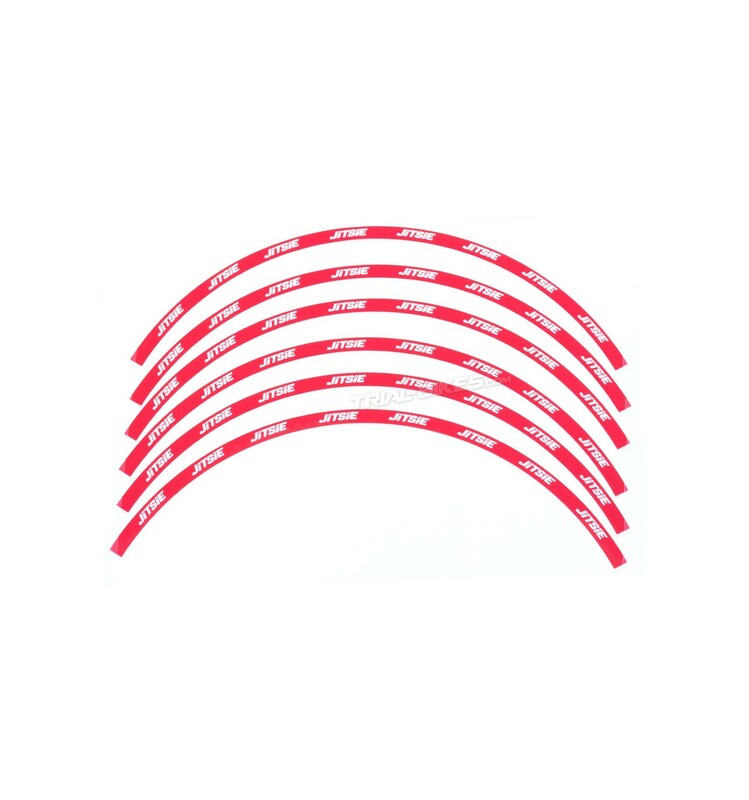 - These stickers help protect the rim from scratches. 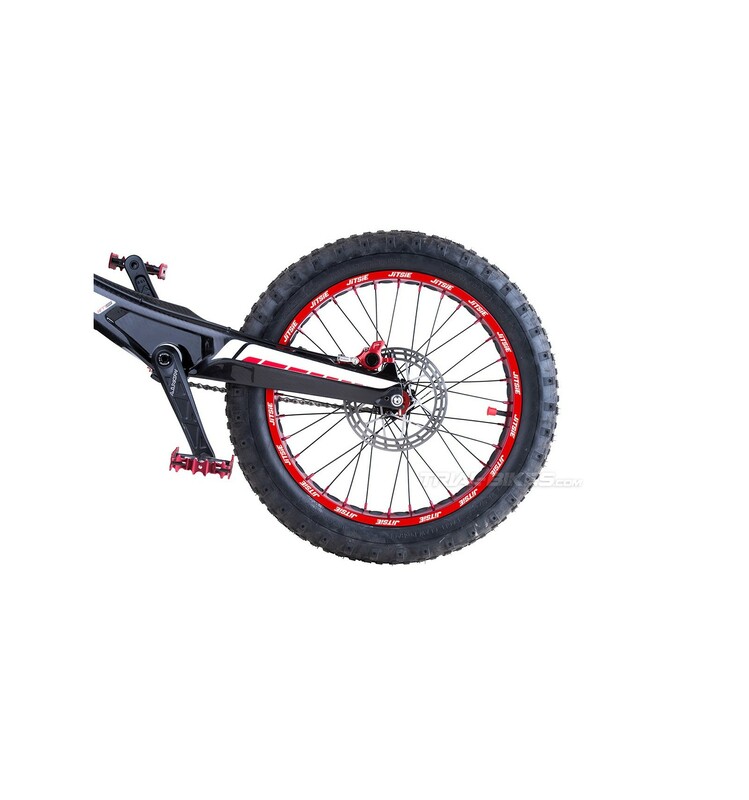 - You can now customize your rims, adding a nice professional touch to your bike. - Shiny vinyl stickers are very easy to set up, simply make sure the ends are clean and grease-free. 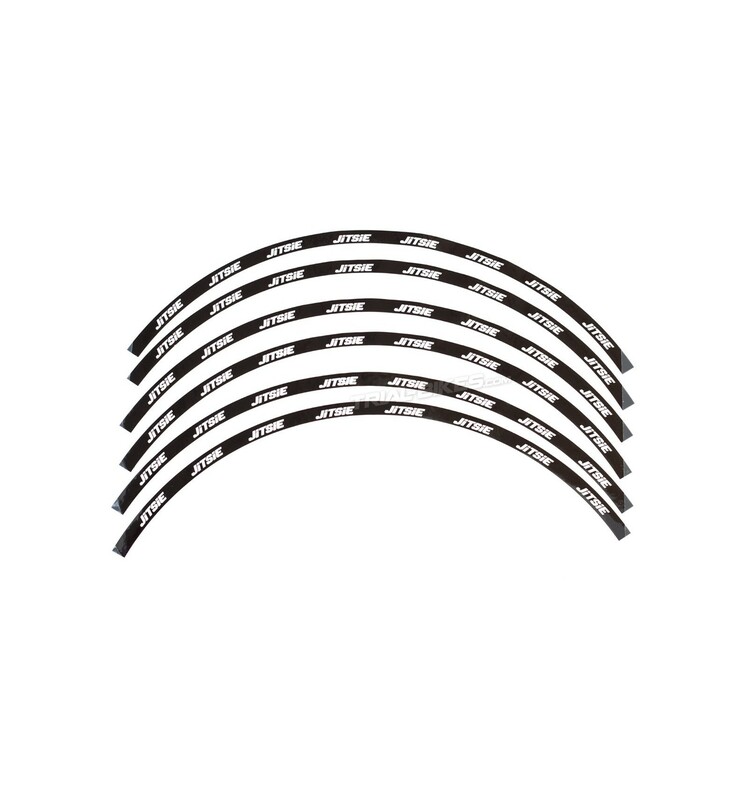 - Supplied in 6 long vinyl’s, enough for the two sidewalls of 1 wheel. - Available in different sizes for 19”, 20”, 24” and 26” wheels, in blue, red or black.